Drs. 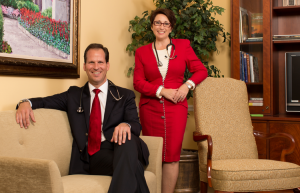 David Scott Madwar and Rebecca Rock blend old-fashioned medicine with state-of-the-art technology and cutting-edge medical advancements to give you an individualized healthcare experience. Our practice offers the expertise of two highly trained, well-respected physicians who share a philosophy of excellence, communication, and patient education. You will benefit from our camaraderie and collaboration while maintaining the singular relationship with your physician. We take pride in our warm practice environment, designed with ample time for your visits, fostering a more comprehensive approach to care with meticulous attention to detail and coordination of subspecialty services. Same day appointments, around-the-clock access, hospital rounds, and even house calls mean a seamless blend of care continuity which ensures peace of mind for you and those dearest to you.